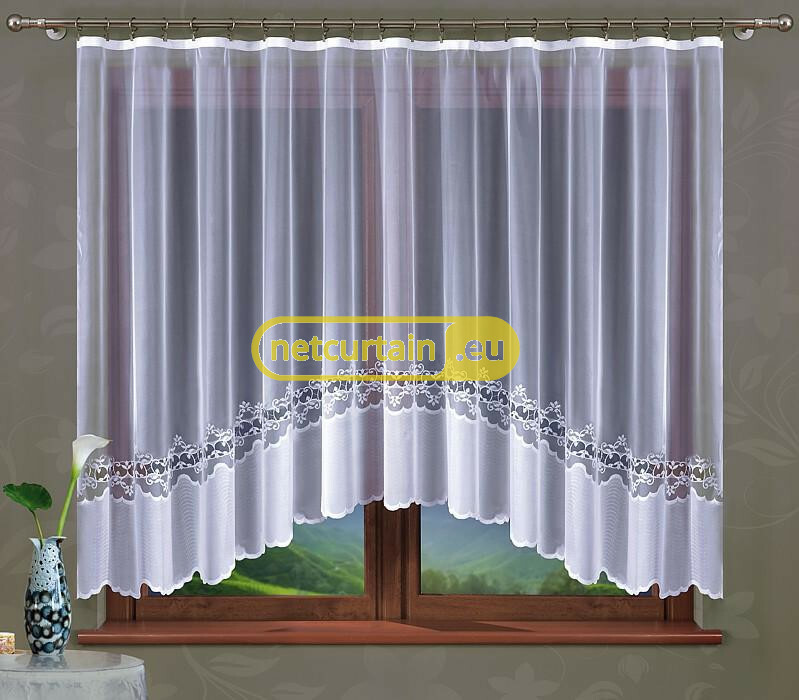 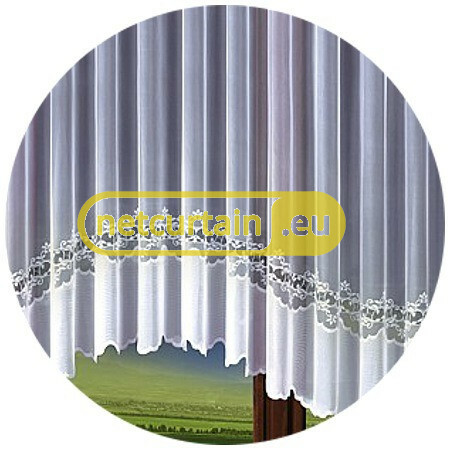 White, jacquard net curtain sewed with gathering tape. 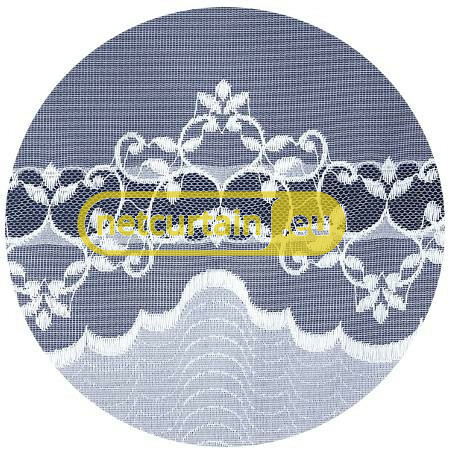 Has wide strip at the botttom cut out with gentle waves. You can easily hang it with curtain clips. 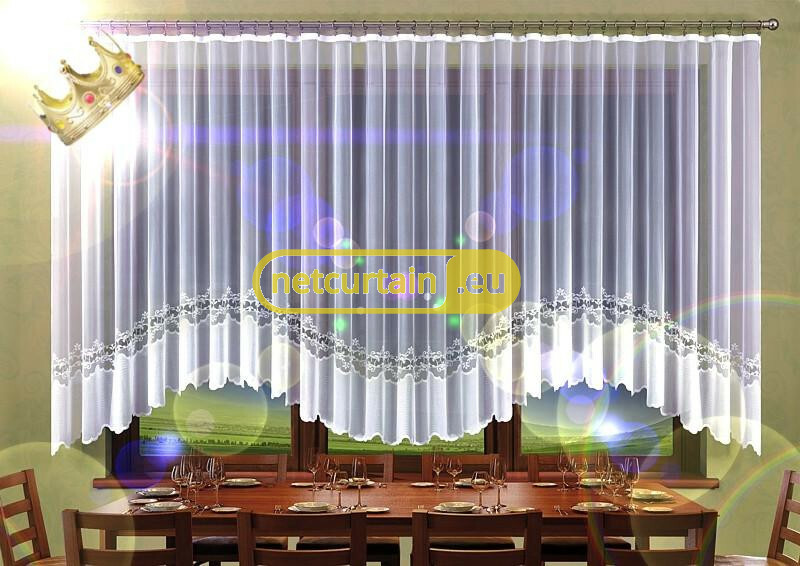 Usable width of 600 cm's curtain is 300 - 450 cm. Usable width of 300 cm's curtain is 150 - 220 cm.